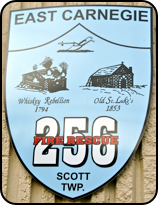 Responding jointly with the Bower Hill VFD & Glendale Hose Co# 1, East Carnegie provides Fire & Rescue protection to Scott Township. 30 active volunteers respond to an average of 250+ alarms annually. Responding first due to motor vehicle accidents & CO alarms, it is equipped with Res-Q-Tech extrication tools & rope rescue gear. 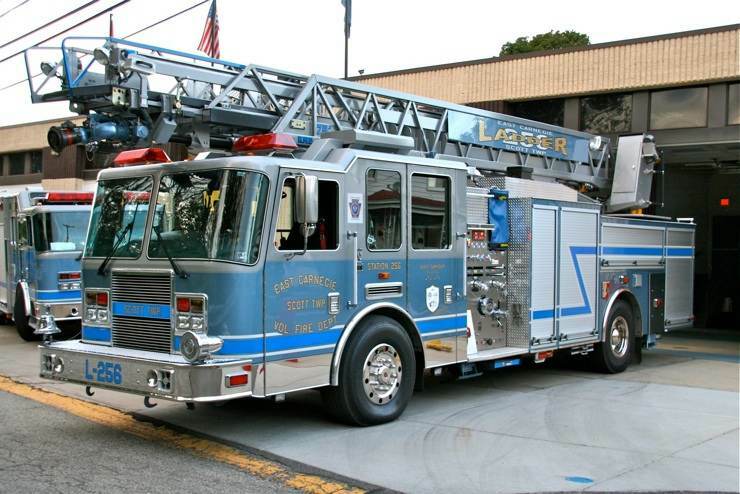 256 Ladder responds as the first due truck for all non-high rise commercial & residential structure fires. 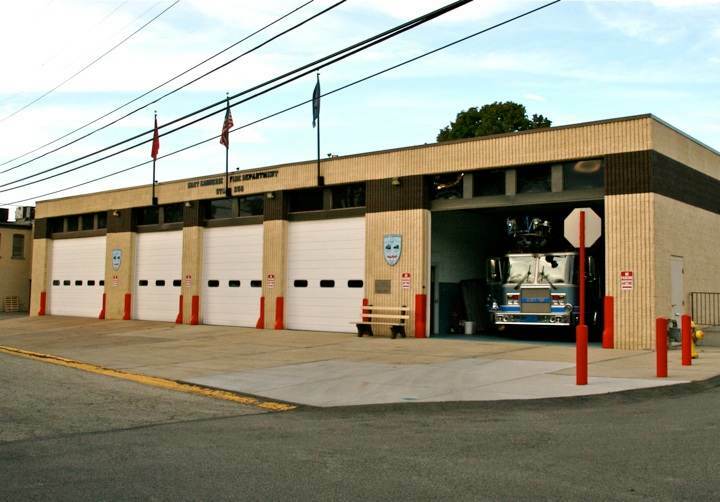 East Carnegie operates their entire fleet from this five bay firehouse. 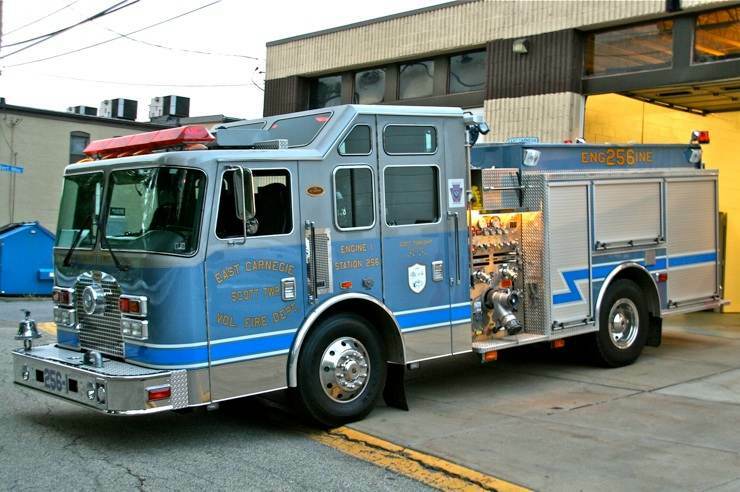 256 Engine 1 - 2001 KME Excel 1250 gpm/ gal. This rig is assigned to respond first due to all high rises & non-structure fires. 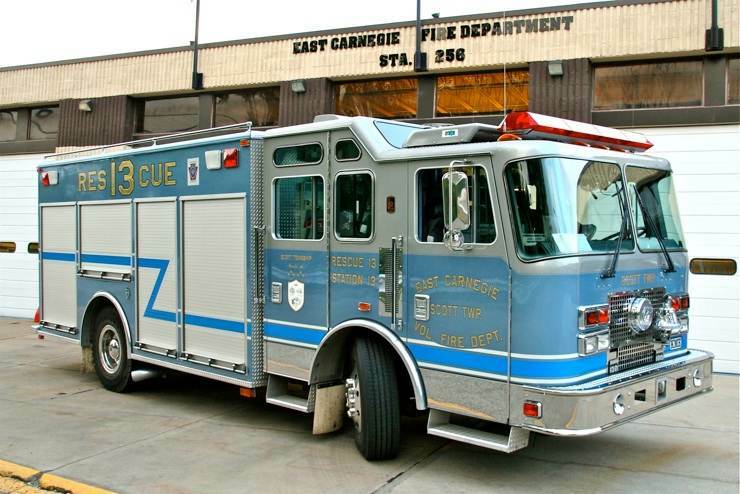 Special thanks to Captain Adam Kauer, FF AJ Mastascusa & the members of East Carnegie for their assistance in positioning these rigs.